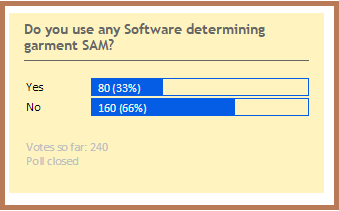 In the last month an online survey was conducted by OCS on the topic “Are You Using Software for Determining Garment SAM?” To understand how many factories have IE department and how many factories prepare operation bulletin of the garments out of total total global garment factories, two more questions was asked in the survey. Results of those questions have been also published here. As committed, I am publishing the survey result in this post. If you missed to participate in the survey, you can comment in the below comment box. Total participant factories: 101 Nos. We have received multiple entries from same factories. Single entry is considered for each factory. The survey results ares shown in following graphs. 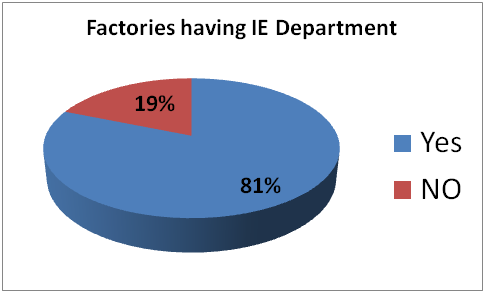 Fig-1: Percentage of factories having IE Dept. You might have seen that we have run a poll on the same topic for 3 weeks. We have received good number of entries in the poll and outcome is shown in the following chart. Note: This survey result may not be showing true stats for global sample. The above stats are based on online survey results and sample size 101, most of participants are from India and Bangladesh. P.S. As per my knowledge number of factories those use Software for calculating garment SAM is less than 10% out of global garment factories. 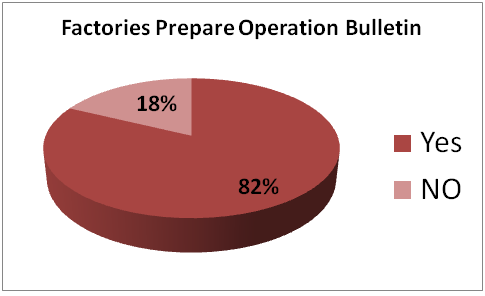 The result is showing here is high percentage due less number of participant factories. 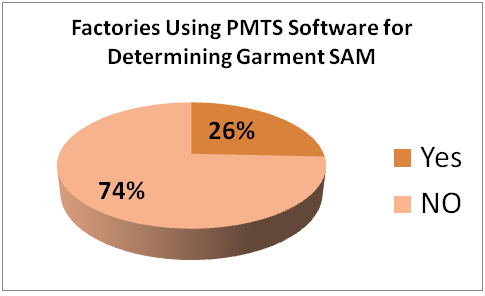 This post shows percentage of garment factories have IE department, percentage of factories prepare OB and percentage of factories own SAM calculation software.